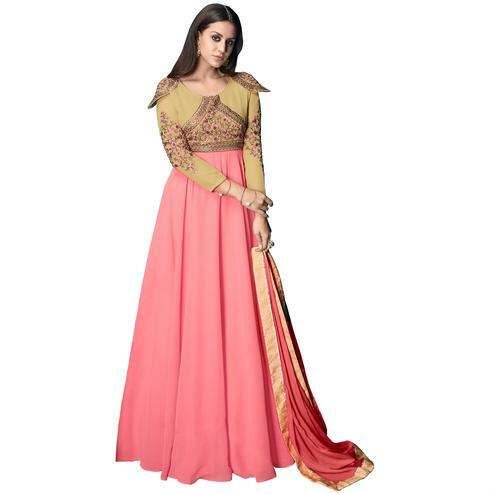 Elegance & charm is what you exclude once you get dressed in this pink designer anarkali suit. 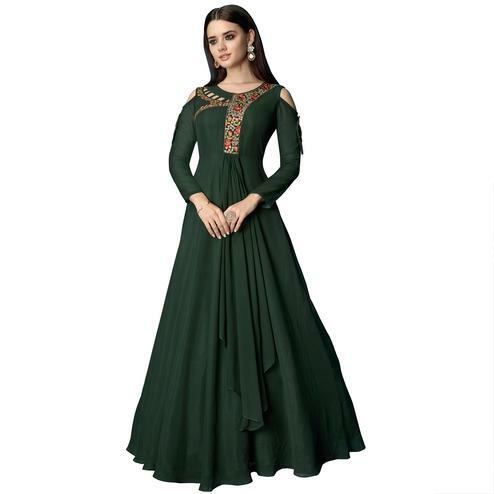 It's attractive floral design heavy embroidery finished with stone work done all over the attire adds to its ethnic appeal. 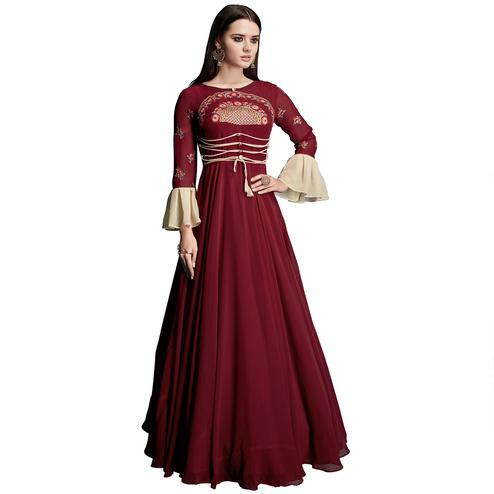 This semi stitched outfit comprises faux georgette top santoon bottom and chiffon dupatta worked with golden lace border. 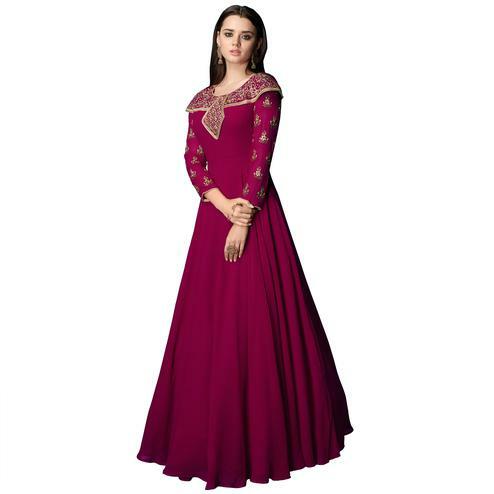 It's a perfect pick to buy for parties functions and occasions where you want to impress everyone around.